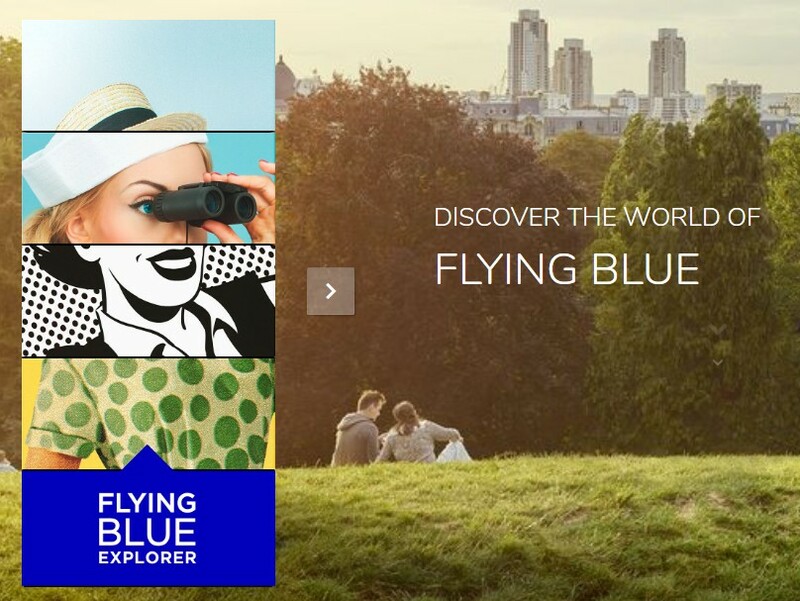 Flying Blue is the loyalty program of KLM Royal Dutch Airlines (the national airline of the Netherlands) and Air France. KLM and Air France merged to form Air France-KLM Group back in 2004. In this post, we will look at the many ways Flying Blue members can earn miles to spend on free flights and upgrades. 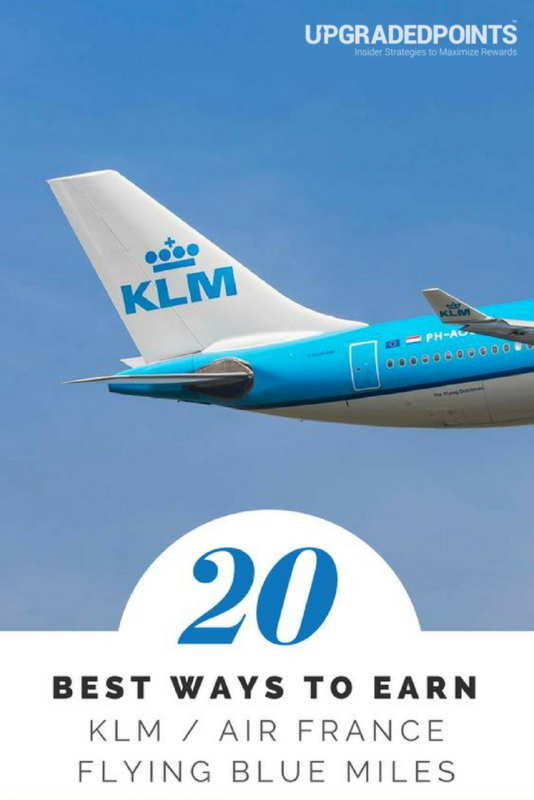 Because KLM and Air France are part of SkyTeam, there are loads of methods you can use to increase the number of miles in your Flying Blue account! 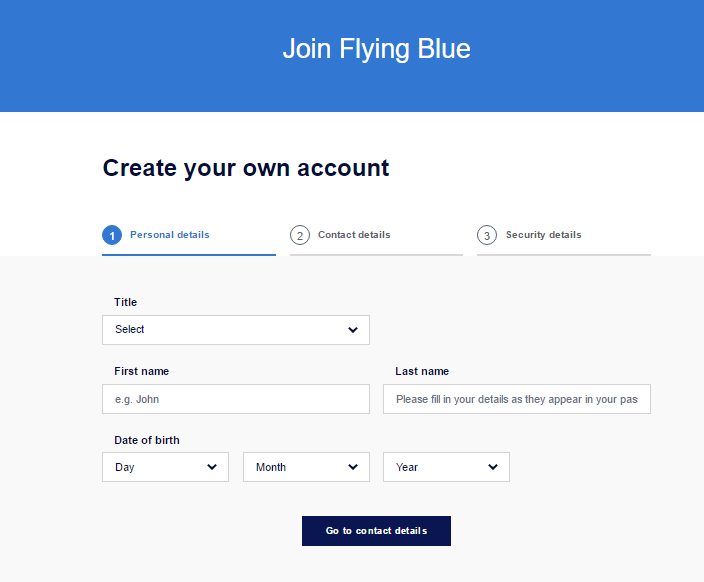 Join Flying Blue by creating an account. Then start earning miles with KLM, Air France, and their partner airlines. It takes just a few minutes to fill out the Flying Blue application! From your Flying Blue account, you can view your miles balance, manage your profile, and book flights. You can also change your PIN or request a new card if yours is lost or stolen. On April 1, 2018, Flying Blue switched to revenue-based earning. Other partner airlines earn by ticket fare class and distance flown, see rates for each partner. 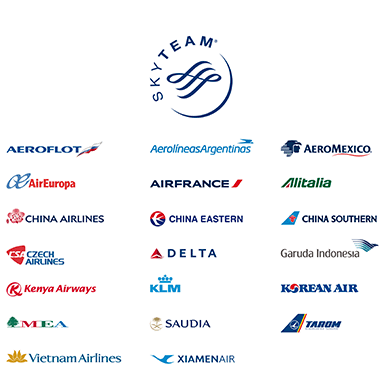 Including KLM and Air France, there are 20 SkyTeam airlines. 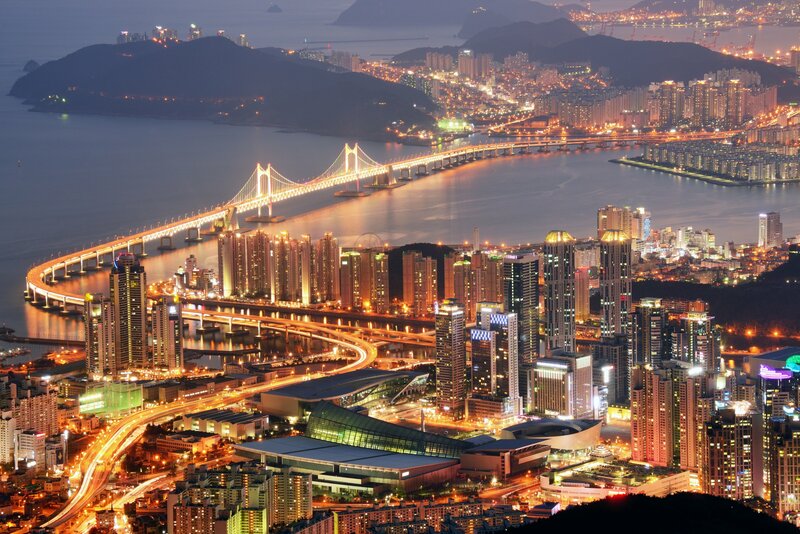 Because Flying Blue is a SkyTeam member, you can earn miles with their 20 airlines such as Delta Air Lines and Korean Air, or with other partner airlines like Japan Airlines and Air Corsica, just to name a few. As a Flying Blue member, there are 3 types of miles you can earn: Award Miles, Level Miles, and Elite Bonus Miles. Let’s begin by examining Award Miles and Level Miles. Start transferring American Express Membership Rewards points to Flying Blue beginning at 625 points. Are you a member of the American Express Membership Rewards program? Then listen up! You can transfer Membership Rewards points to Flying Blue. Make sure the first and last names on your Membership Rewards and Flying Blue accounts match. The transfer is completed instantaneously. Transfer Chase Ultimate Rewards points to your Flying Blue account in increments of 1,000. Chase Ultimate Rewards is a Flying Blue member as well. Transfer a minimum of 1,000 Chase Ultimate Rewards points for 1,000 Flying Blue Award Miles. Points transfer instantaneously. Want to transfer more? No problem; just make sure they are in increments of 1,000. Just like with Chase Ultimate Rewards, Citi ThankYou points transfer in increments of 1,000 points for 1,000 Flying Blue Miles. There’s a maximum of 500,000 miles per transfer, and transfers can take up to 48 hours to complete. Capital One miles now transfer to Flying Blue at a 2:1.5 ratio. Instead of redeeming your Capital One miles in the Capital One Travel Portal for cash tickets, you now have the option to transfer them to your Flying Blue account. 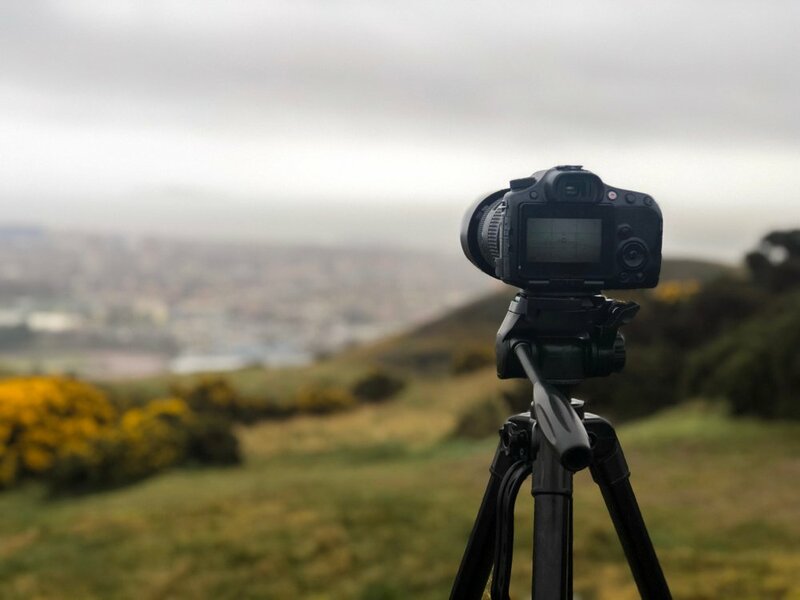 Using Flying Blue miles can potentially save a ton of miles when looking to book first or business class tickets by using the Flying Blue award chart compared to 1 cent per point of the cash ticket price using the Capital One Travel Portal. Hot Tip: Hop on over and check out this article: The Best Ways to Redeem Capital One Miles [For Max Value]! You can earn Marriott points and transfer those to Flying Blue at a transfer rate of 3:1. Plus, for every 60,000 Marriott points that you transfer, you’ll receive an extra 5,000 Flying Blue bonus. Whether earning miles per stay or per $1 spent, staying at partner hotels can mean lots more miles in your Flying Blue account! Click on a hotel to learn more about what they offer for Flying Blue members. While it’s easy to earn miles for staying at partner hotels, that’s not the only way to get them. The following hotel groups allow you to transfer points earned in their loyalty programs to Flying Blue Miles! *2,000 Accor points = 1,000 miles, minimum 2,000 points to convert to airline, maximum 60,000 Rewards points converted per year, can set up auto-conversion. **Must transfer a minimum of 20,000 Honors Points; can then increase in increments of 10,000 points. 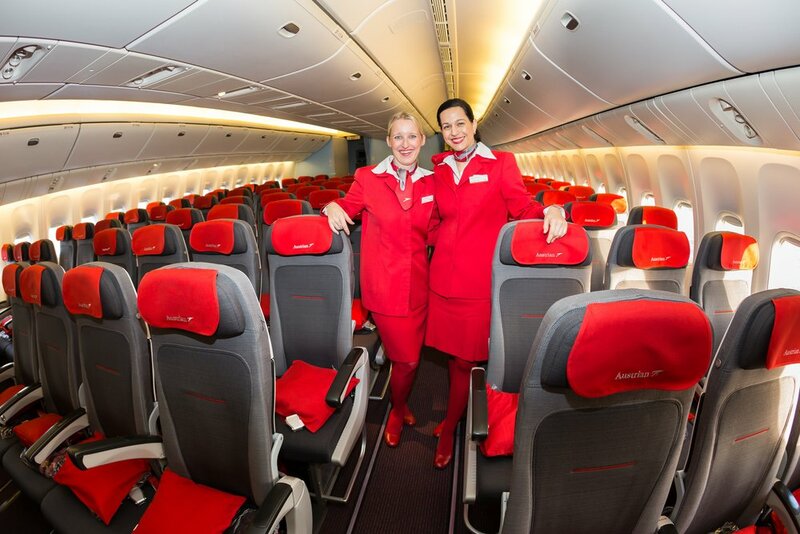 You can earn as many as 10,000 Flying Blue miles by booking through PointsHound. Book a room at one of more than 150,000 hotels through PointsHound and earn Flying Blue miles at the same time. The current bonus is 10,000 miles per stay, but check back with the Flying Blue website for new bonuses. With 6 car rental agencies offering Flying Blue points, you have lots of options. If you love travel-related products like clothing, watches, pens, and comfort items, then you are in luck. Air France shopping carries over 400 items, priced in Euros, that can be delivered to the U.S., earning 3 miles per euro spent. [email protected] earns 2 miles per euro spent. Fashion, department stores, gifts, office & business…no matter what you like to shop for online, you’re bound to find it at the Flying Blue Shop for Miles. You’ll be directed to your favorite retailers through links on the site, so enable cookies on your browser before getting started. Earn 1 mile per $1, 2 miles per $1, or more depending on the store and the offer. Flying Blue will confirm your purchase and mark it approved before applying miles to your account, so it can take up to 120 days to see these miles. Need a ride to the airport or back home from the airport after landing? Driving Blue is an online booking platform for airport taxis where you’ll earn 2 miles per Euro spent. 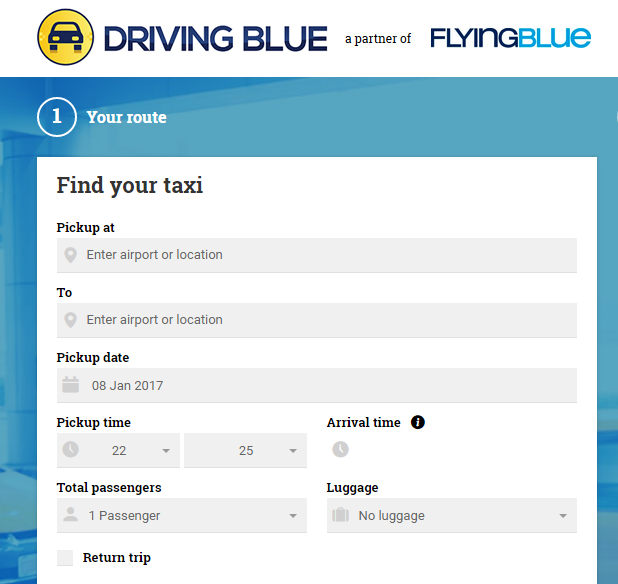 Book an airport taxi through Driving Blue for Flying Blue Miles! Who doesn’t like to share their opinion? Sign up with the Opinion Rewards Club and get paid for it in Flying Blue Miles! Earn 250 miles for signing up and completing your first survey. After that, you’ll get 10 miles automatically added to your account for each survey you complete. The program is open to a variety of countries including the U.S., U.K., France, Germany, and the Netherlands. After earning Opinion Points on e-Rewards, transfer them to Flying Blue Miles! As long as you’re already sharing your opinion, consider joining e-Rewards. Earn Opinion Points for each survey you complete, and then exchange those points for Award Miles. Sign up and complete your first survey for 500 Bonus Miles! Obviously, there are plenty of strategies available for earning Flying Blue Miles. Whether you earn miles by using credit cards, participating in partner offers, or transferring them into your account from other loyalty programs, you can accrue Flying Blue Miles fast! As long as you follow the tips we provided here, you should have enough miles in your Flying Blue account to redeem for terrific travel rewards in no time! What is Flying Blue? How much does it cost? 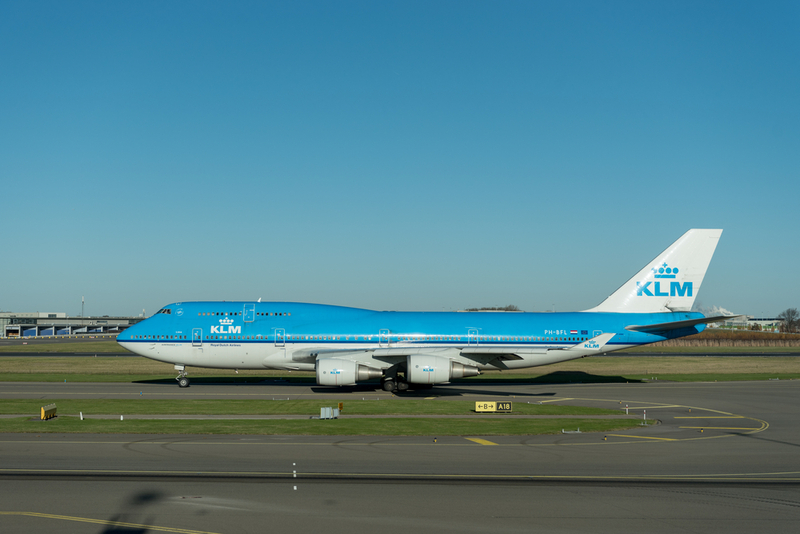 Flying Blue is the frequent flyer program for KLM and Air France. It’s a free program that allows members to earn miles when booking flights and traveling with Flying Blue partners. You can even earn points with non-travel partners. Flying Blue points can be redeemed for free flights, upgrades, and more! How do I enroll in Flying Blue? Sign up for Flying Blue here and start earning miles right away. Is there a Flying Blue credit card that earns miles? While Flying Blue doesn’t have a co-branded card in the U.S. to earn miles, there are plenty of other ways to earn miles with credit cards. Because Flying Blue partners with many credit card loyalty programs, you can transfer points to your Flying Blue account easily. Where can I log in to my Flying Blue account? Sign in to your Flying Blue account on their website. 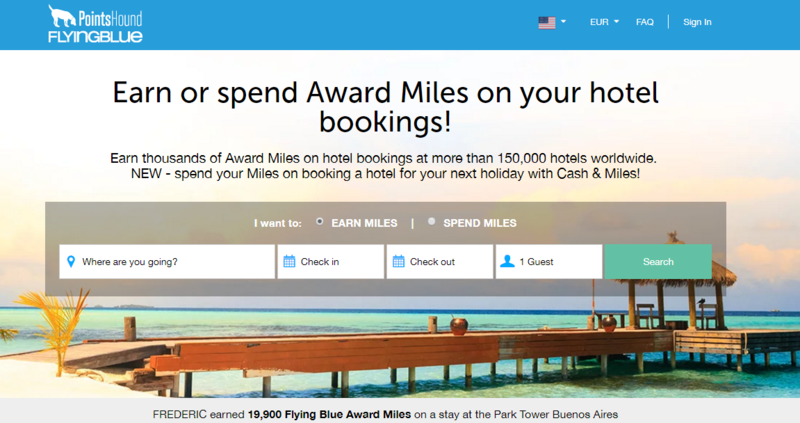 Can I earn miles with Flying Blue partners? Flying Blue has a ton of partners to earn miles with, including hotels, car rental agencies, retailers, and much more. Is it possible to upgrade a flight with Flying Blue Miles? Yes, you can upgrade with Flying Blue Miles! How can I earn Flying Blue Miles shopping online? Earn miles by shopping top retailers at the Flying Blue Shop & Earn Store or the Air France Online Store. Which airlines are in the Flying Blue loyalty program? KLM and Air France are members of SkyTeam along with 18 other partners like Delta Air Lines. In addition, Flying Blue partners with other airlines such as Japan Airlines and Alaska Airlines. Find a complete list of partners here. Can I earn Flying Blue Miles by flying Delta? Yes, you can earn Flying Blue Miles on Delta Air Lines flights marketed as DL, AF, KL, or a SkyTeam-partner. Can I transfer Flying Blue Miles to SkyMiles? While you can’t transfer Flying Blue Miles to SkyMiles, you can spend Flying Blue Miles on flights operated by Delta Air Lines and marketed as DL. When do Flying Blue Miles expire? As long as you take a flight at least once every 20 months, your Flying Blue Miles will not expire. Can I rent a car to earn Flying Blue Miles? 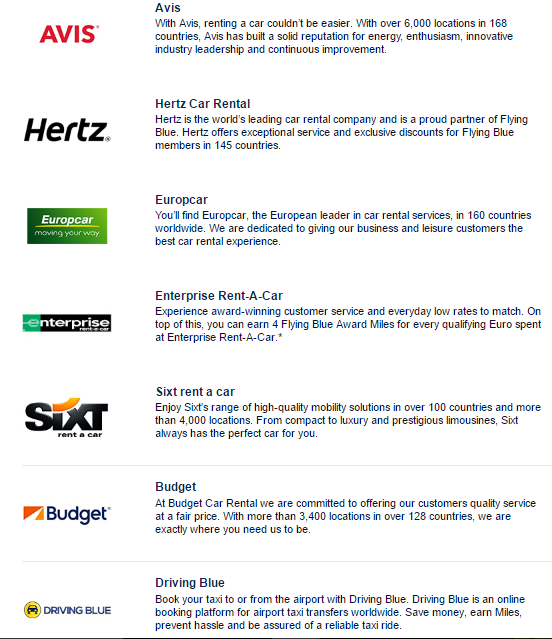 Yes, Flying Blue has several car rental partners including Avis, Hertz, Budget, Enterprise, Europcar, and Sixt. I’m looking at transferring Citi ThankYou points to Air France/KLM with a 30% bonus. Are there any ways to extend the life of Air France/KLM miles other than taking a flight? Will miles earned from the Opinion Rewards Club extend the 20-month requirement? Yes, to extend the expiration date of your miles you just need to top up the balance by at least 1 mile. You could do this by transferring the minimum number of points from Citi, or by using their airline credit or as you mentioned in your comment! @Matthew, be careful. Maybe the terms have changed but I’m at the FB website right now and it appears there are DEFINITE limitations on extending flight miles. It’s unclear if a points transfer or survey credit would be the partial or overall type of activity. Alex, do you know? ‘All your Miles are valid for life as long as you take an eligible flight on Air France, KLM, Joon, HOP!, Aircalin, Kenya Airways, TAROM or other SkyTeam partners at least once every 2 years, or if you’re an Elite or Elite Plus member, or if you make a purchase with an eligible co-branded credit card at least once every 2 years. These “Overall extending activities” extend the validity of all Miles 2 years from the date of the activity.